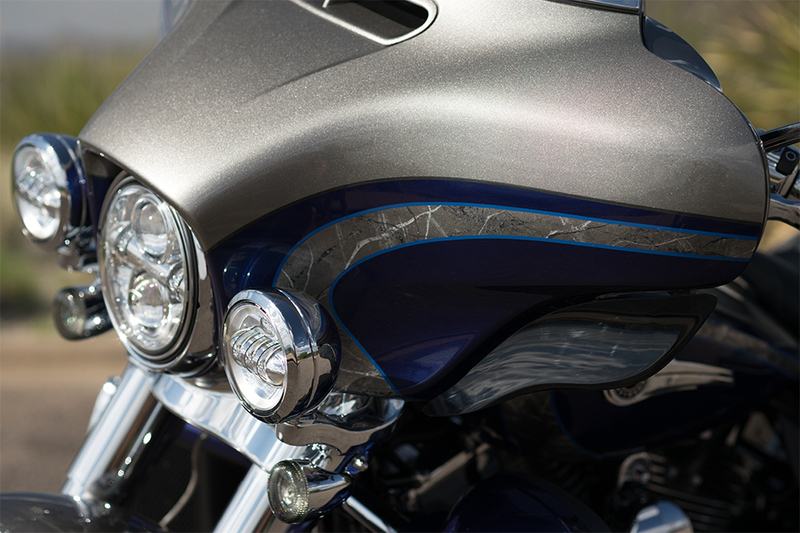 It’s hard to top the CVO™ Limited. 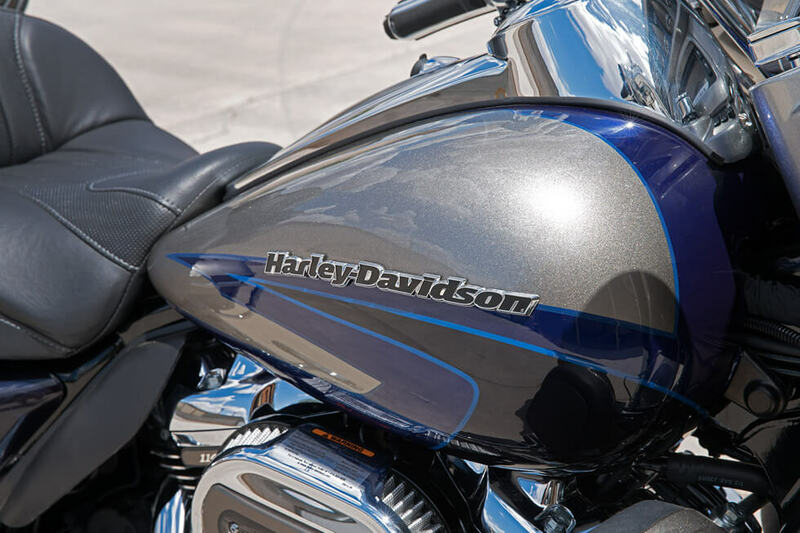 This motorcycle is one of the super premium rides crafted by the Harley-Davidson® CVO™ (Custom Vehicle Operations™) team at Harley-Davidson®. 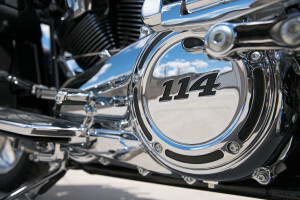 It provides the best possible touring features, the most custom details, the highest quality materials, and the brand new more powerful Milwaukee-Eight™ 114 engine. If all that has your interest piqued then come visit your local Los Angeles Harley-Davidson® dealer here in Riverside! The CVO™ Limited delivers top shelf touring performance and control. 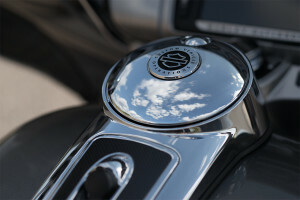 It’s equipped with the most advanced and upscale features available in the Harley-Davidson® touring lineup. 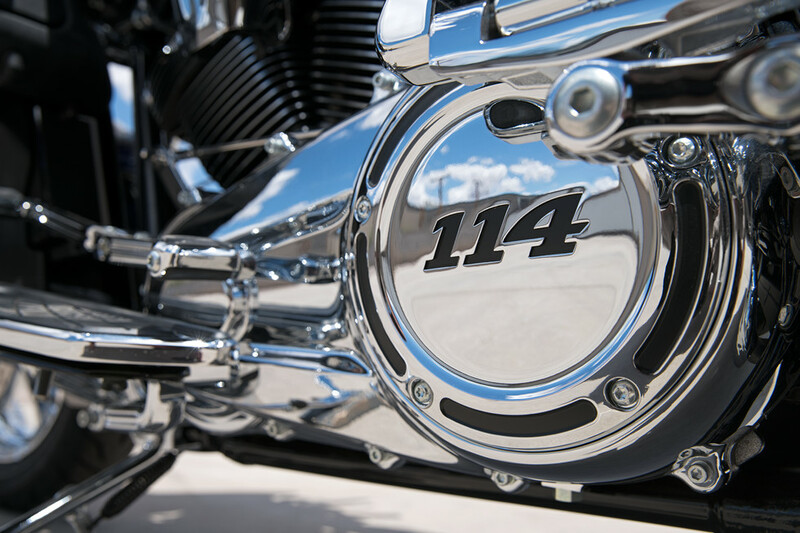 All-New Twin-Cooled™ Milwaukee-Eight™ 114 Engine: With more displacement and more power, with the new Milwaukee-Eight™ you can enjoy more acceleration than ever. 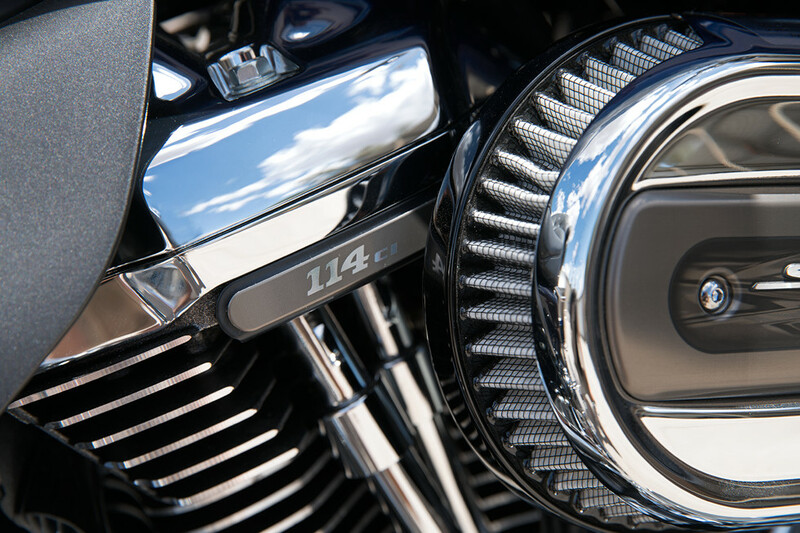 With a sweet, pure exhaust note, cooler running temperature, and smooth operation, this might be the ideal power plant for a long haul touring bike like the CVO™ Limited. 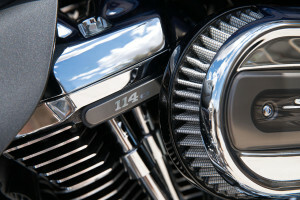 Twin-Cooled™ Milwaukee-Eight™ 114 Engine Overview: The Milwaukee-Eight™ represents the new generation of Harley-davidson® V-twin engines. It’s upgraded with more displacement, a higher compression ratio, new exhaust system, counter-balancing, and more. It’s also designed to stay out of the way for more rider comfort. It even delivers more charging to power all your devices. Brembo® Brakes: Brembo® delivers incredible stopping power, because you need to slow down just as fast as you need to get up to speed. Ergonomically Designed Hand Controls: If you’re looking for both comfort and control, these ergonomically designed controls put you in the right place. 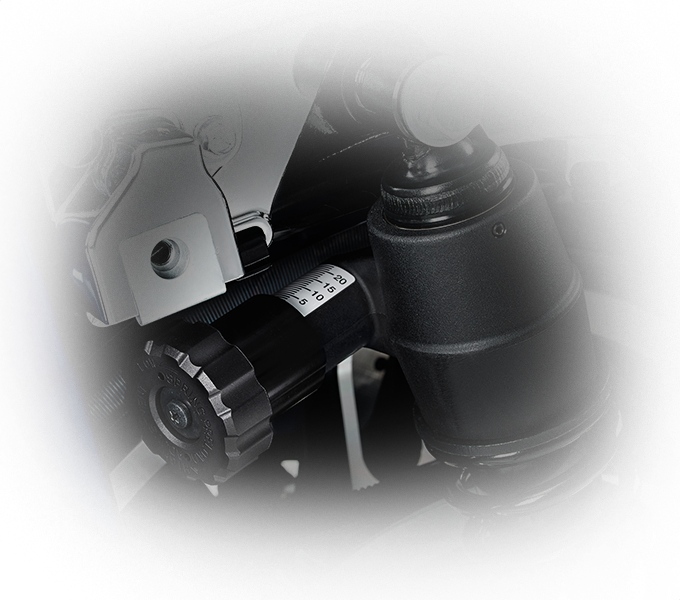 Reflex™ Linked Brakes: Linked brakes help deliver superior stopping power with more predictable control than single brakes. That’s why they’re standard. Single Integrated Security and Locking Fob: With an integrated security keyfob, all you need to do to activate the security system is leave the bike. 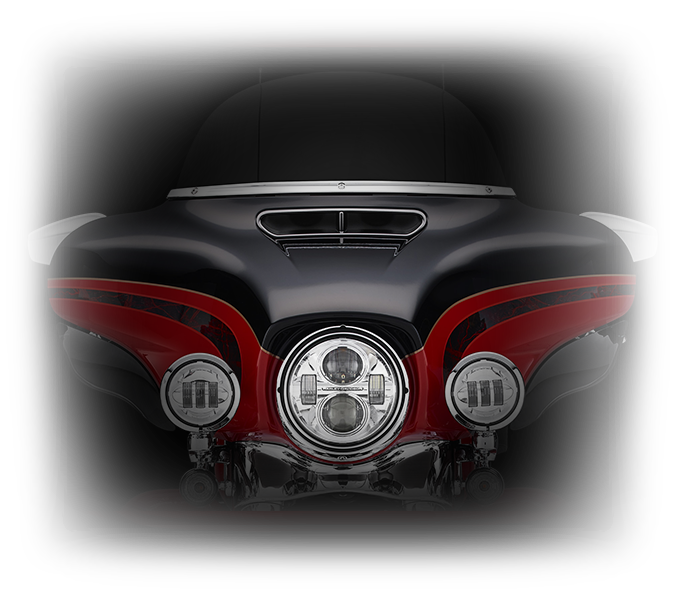 Ventilator Intake: This big, air-gulping intake feeds the Screamin’ Eagle the air it needs to do its job. 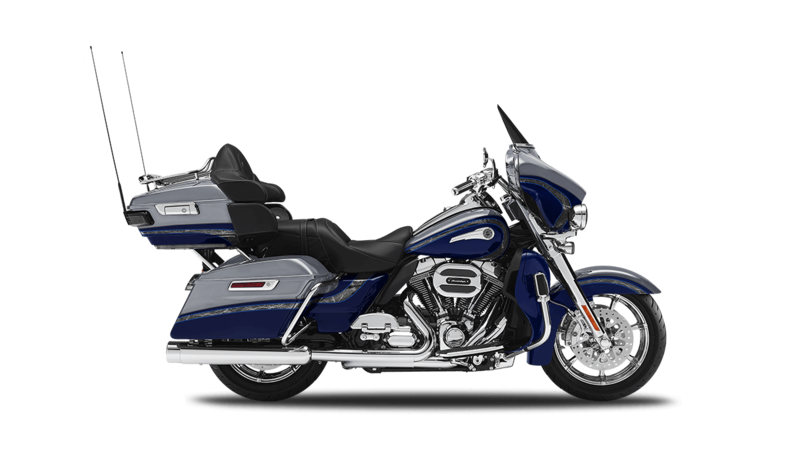 We think you’ll agree that the CVO™ Limited is a stylish motorcycle that’ll turn heads in any crowd. 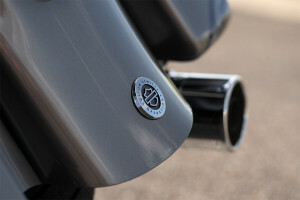 Pure Harley-Davidson® Styling: The all-new Milwaukee-Eight™ is a classically styled Harley-Davidson® v-twin adorned in black powder coat and mirror chrome finishes, with custom badging to let anyone out there on the know that you’re riding the brand new Screamin’ Eagle. Hand Laid Graphics and Tank Badge: Every CVO™ Limited is a work of art thanks to the hand-applied custom graphics and beautiful metal tank badging. LED Bullet Turn Signals: You’ve got to have turn signals, so why not put them in these classic, functional chrome bullet casings. 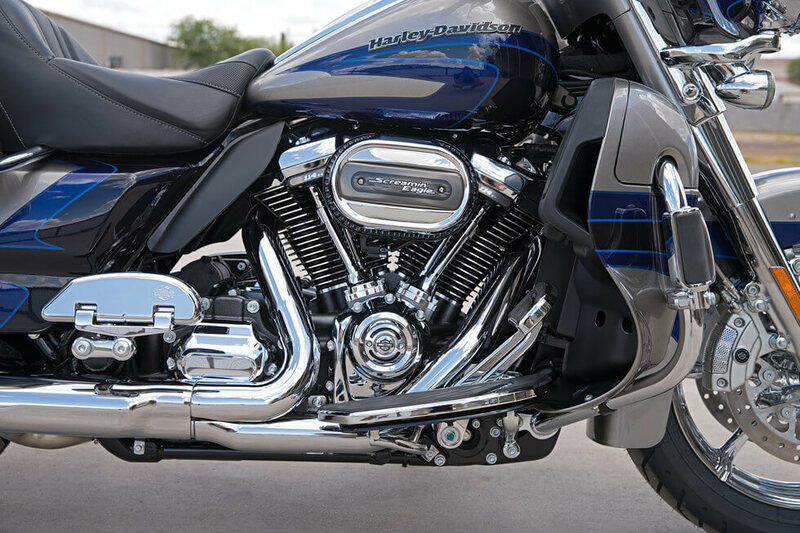 Airflow Collection: The CVO™ Limited rolls off the line with a full complement of components from the Airflow Collection. 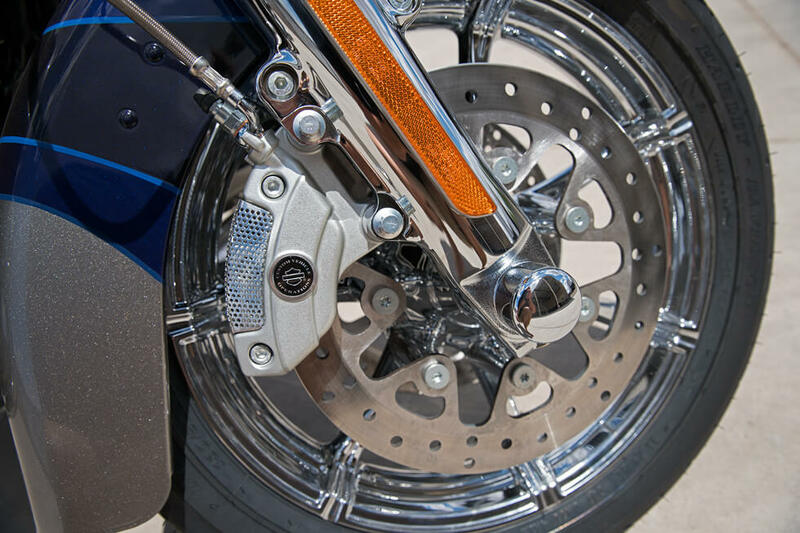 The collection includes rider footboard inserts, passenger footboard inserts, shifter pegs, a brake pedal and cover, highway pegs, heated handgrips with gnurled inserts, and shift lever arms. 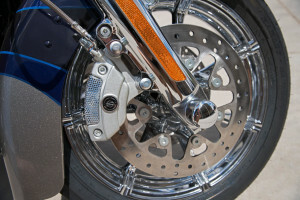 Mirror Chrome Slicer Wheels: These 20-inch chrome slicer wheels are polished so brightly that you can see yourself in them, and the 90-degree valve stem makes them easier to fill. The CVO™ Limited delivers the latest in connectivity and entertainment features to help keep you on the right track no matter where you ride. Tire Pressure Monitoring: You don’t have to dig out your tire pressure gauge to see exactly what PSI you’re running. 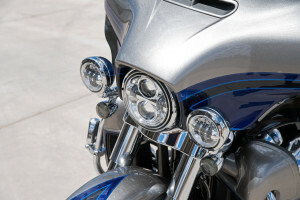 You don’t even have to get off the bike, because the infotainment display gives you a precise reading. 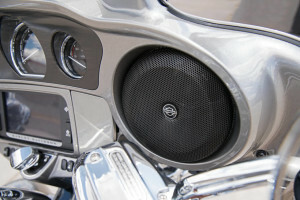 SiriusXM Satellite Radio: The CVO™ Limited provides satellite radio standard. That allows you to enjoy all your favorite talk, sports, and music. 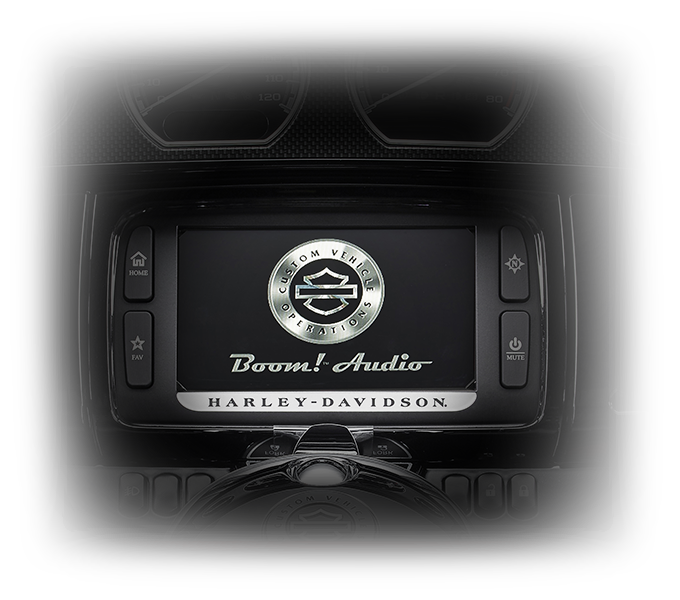 Boom!™ Box 6.5GT Radio: This smart infotainment and audio system provides huge, flawless sound at 75 watts per channel and less than 1 percent distortion. It even automatically adapts to speed. 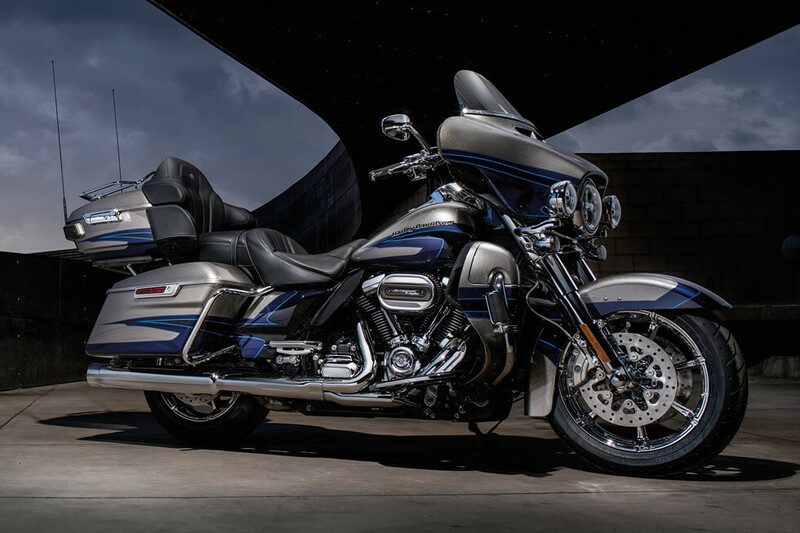 The CVO™ Limited provides an experience like no other. It’s the perfect blend of classic style and modern convenience. Fairing Design: Engineered to keep you fresh and comfortable, this aerodynamic fairing directs air around you to reduce head buffeting. Chrome Dual Exhaust: These big mufflers, exhaust pipes, and muffler shields deliver good looks and the kind of exhaust note you expect from a Harley-Davidson®. One Touch Design Philosophy: If you can’t do it with a single touch from a gloved finger, then it doesn’t belong on a Harley-Davidson® Touring motorcycle. That’s the philosophy, and it’s just as simple as it sounds. 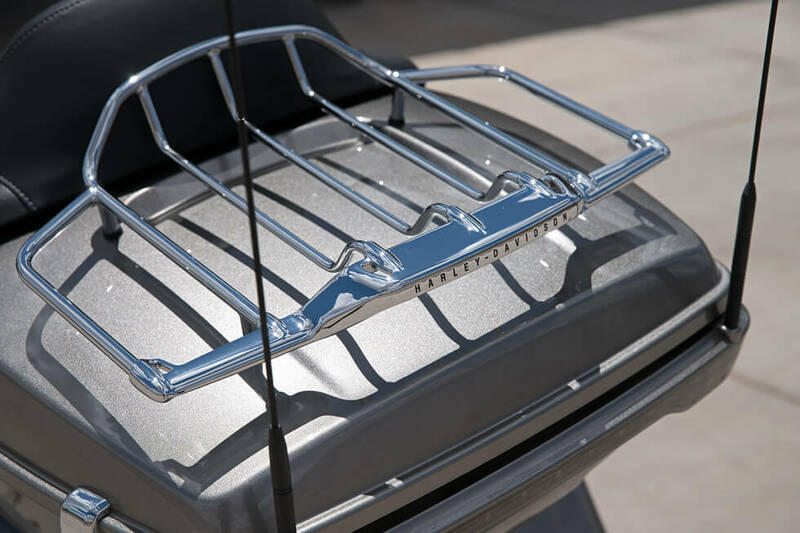 Tour-Pak® Luggage Carrier Design: The sleek looking Tour-Pak® luggage carrier provides ample weatherproofing and secure storage for all your gear. 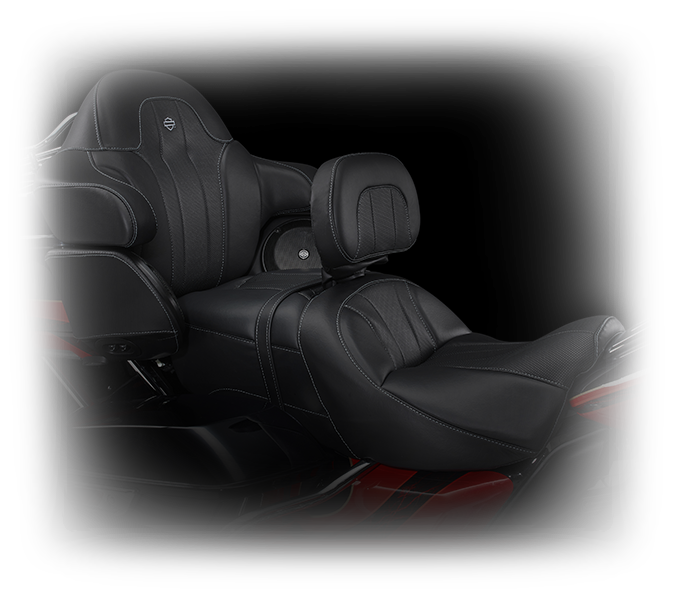 Custom Suspended Dual Control Heated Seat: You get dual back rests and dual controls with this suspended, heated set of seats. It’s the kind of ride you can spend a long, long time in.